This cocktail table uses strong geometric shapes and a glass table top to create a dazzling piece, worthy of a museum. The zig-zag legs are made from solid hardwood and are finished in a rich espresso finish. Pair with the matching end table and console table for striking set of accent furniture in your home. The Visby Cocktail Table by Magnussen Home at HomeWorld Furniture in the Hawaii, Oahu, Hilo, Kona, Maui area. Product availability may vary. Contact us for the most current availability on this product. 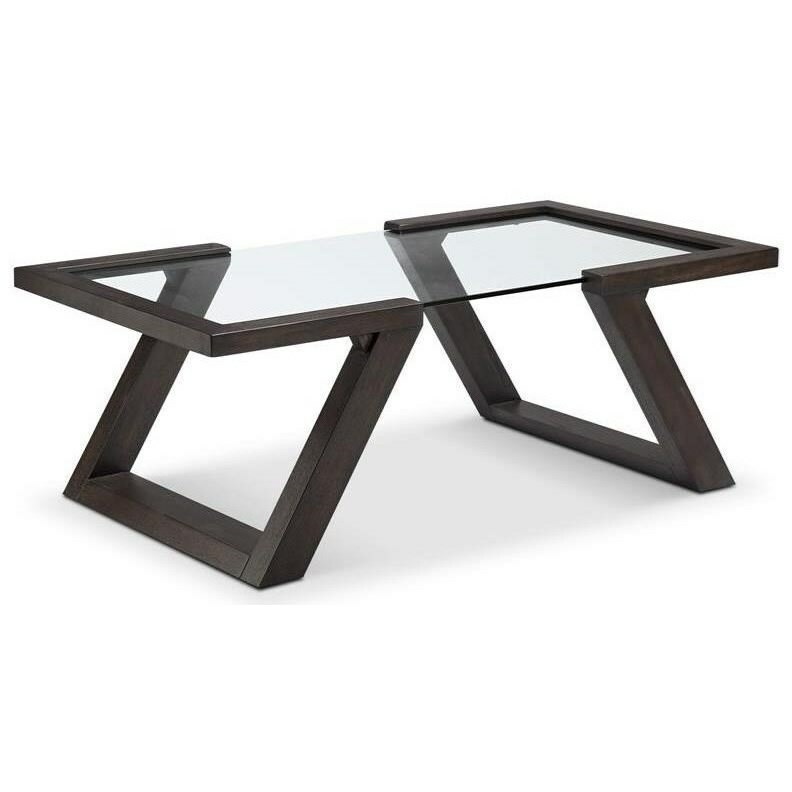 Strong lines and glass table tops create striking contemporary pieces in this accent collection. The Visby collection is a great option if you are looking for Contemporary furniture in the Hawaii, Oahu, Hilo, Kona, Maui area. Browse other items in the Visby collection from HomeWorld Furniture in the Hawaii, Oahu, Hilo, Kona, Maui area.